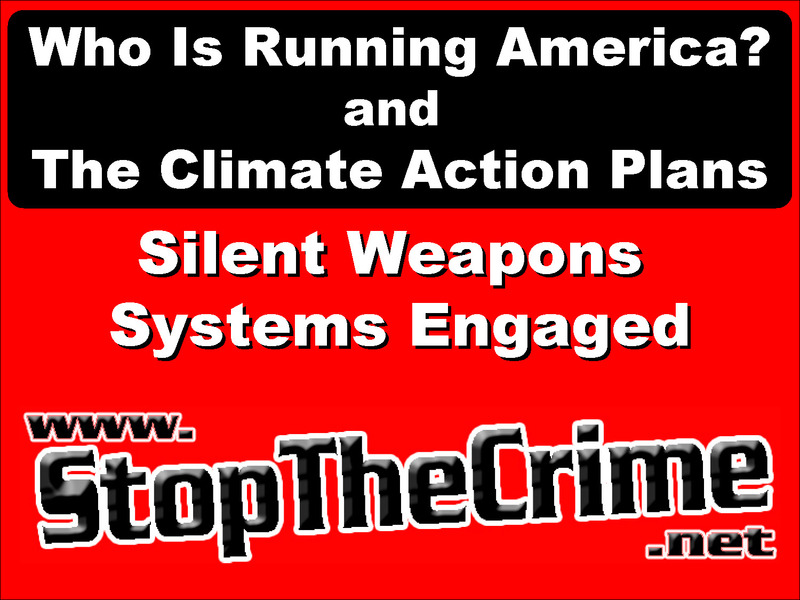 Get news from StopTheCrime.net in your inbox. Population Engineering and the Fight against Climate Change . .
energy, reducing human fertility rates is morally justifiable. Enhancing Humans for WAR! Defense Dossier . . . Page 13: U.S. Adversaries Enhancing Humans for War? 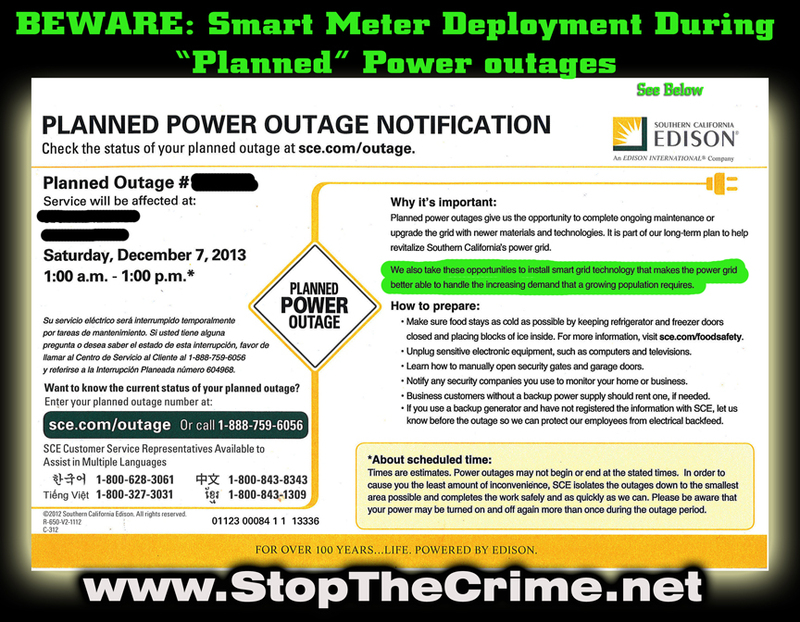 ADVISORY: THOUGHT POLICE TECH is HERE: Predictive policing in New Orleans . 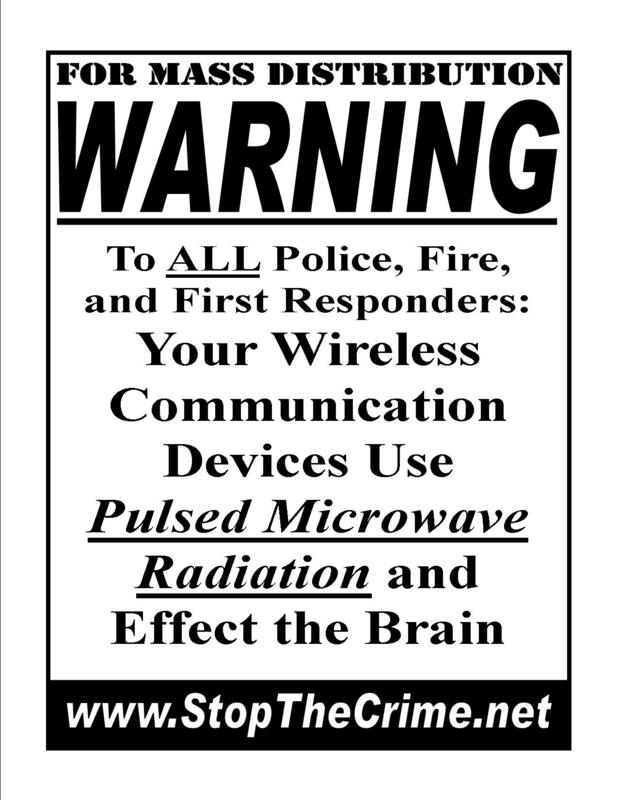 . .
LONDON, Aug. 24, 2017 /PRNewswire/ — According to Stratistics MRC, the Global Directed Energy Weapons (DEW) market is expected to grow from $8.12 billion in 2016 to reach $41.97 billion by 2023 with a CAGR of 26.4%. Rising demand for non-lethal deterrents and growing demand for the use of naval weapons in naval forces across the world are some of the major factors favoring the market growth. On the other hand huge development costs, strict industry regulations and lack of testing facilities are restricting the market growth. WATER WARS ………….PRIMARY WATER ……….KIDS FOR PROFIT………..LAND / WATER THEFT………..
International Monitary Fund are on this list? 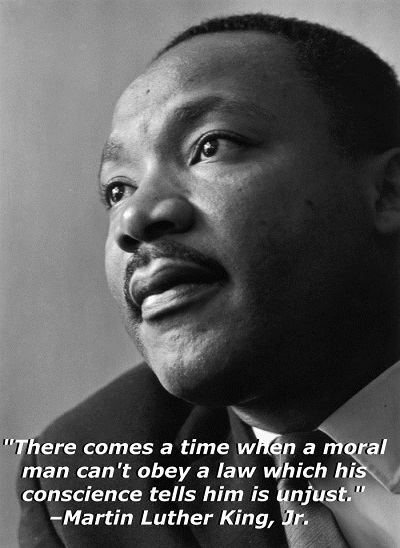 What does banking and profiteering have to do with helping poor people? 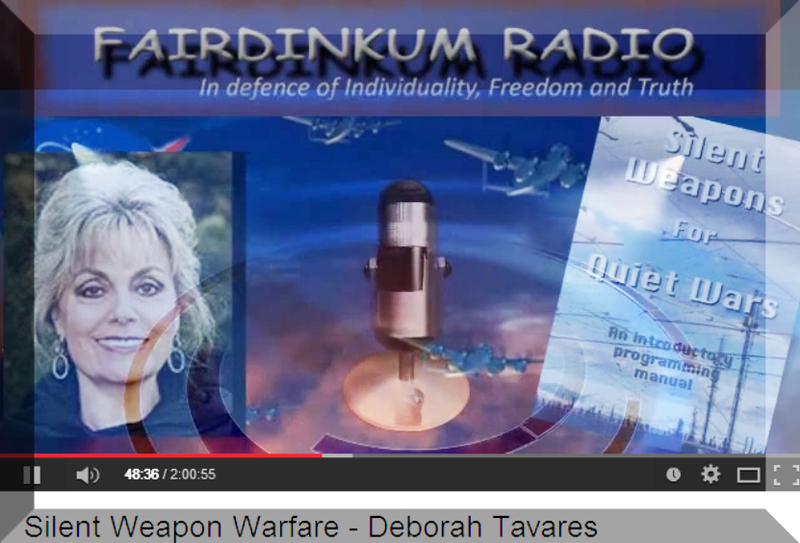 06/19/2013 Silent Weapons for Quiet Wars – Deborah Tavares with Jeff Rense . . . . . . Breaking News . . .
“For we are opposed around the world by a monolithic and ruthless conspiracy that relies on covert means for expanding its sphere of influence on infiltration instead of invasion, on subversion instead of elections, on intimidation instead of free choice, on guerrillas by night instead of armies by day. COURTS are UNLAWFULL – Confirmation – our courts are debt collectors NOT COURTS for JUSTICE . . .
to help prevent more incidents likethis horrible video!!! Watch this short video – and weep! 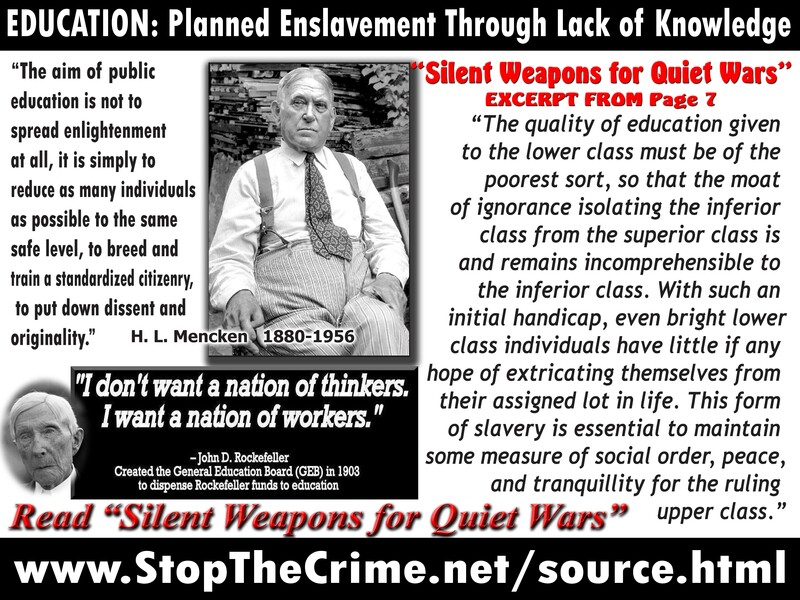 Education and Frequencies are WEAPONS . . .
Deborah Tavares – What Standing UP Looks like . . . . when you KNOW something is VERY WRONG . . . It is important to know that, right now, the international bankers are conducting a global inventory of “everything” . . . the bankers long planned to categorize and identify their stuff . . they consider “everything” to be theirs . . . even us which they refer to as cattle. This is NOT only what we understand about the goals of U.N. 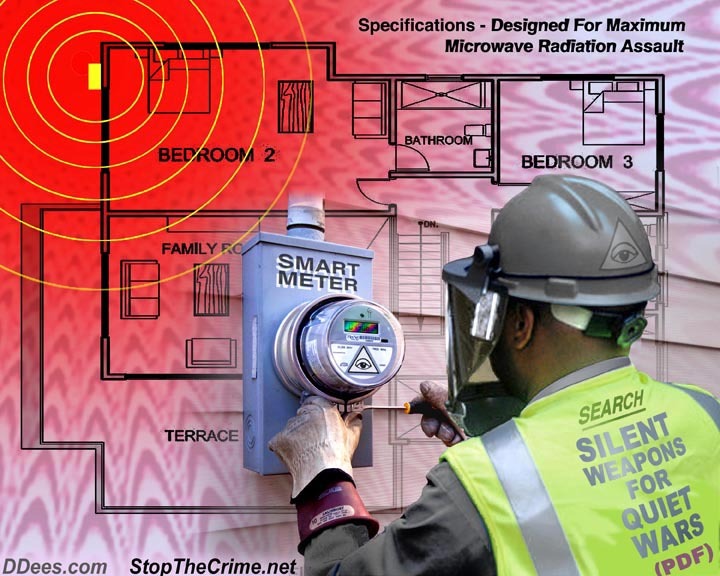 Agenda 21 aka Future Earth Agenda, but also what we are all learning about with the intention of the massive data collection center in Bluffdale, Utah – the NSA Spy Grid. . .the NSA is for global monitoring and tracking of everything in real time. . This massive surveillance grid was schemed back in the 1930’s called Technocracy. Back then the bankers did not have the technology available to them. . and NOW they do! It’s important to know that the Technocracy con created CO2 Global Warming. 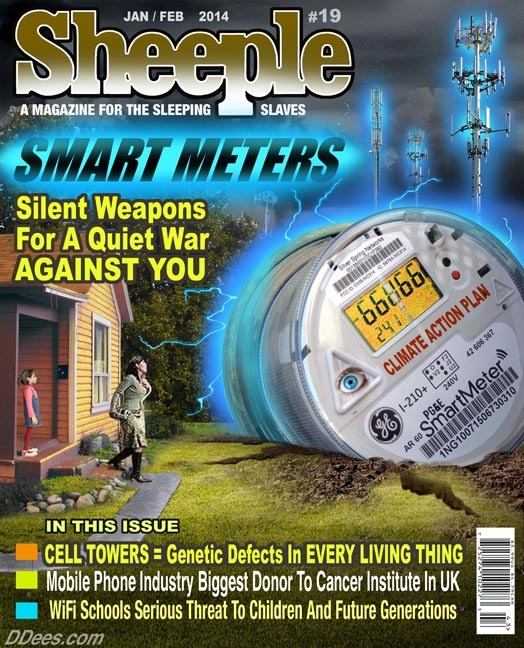 The false claim of CO2 became the excuse for the “global” implementation of a planned totalitarian takedown of society. . which is the absolute total oppression of all of us . . this is a system where the bankers (false government), scientists, engineers and technicians monitor and control “all” facets of personal and civic life – economic, social and political, and is also a system in which one political party, or group maintains complete control . . COMPLETE CONTROL . . In fact, think about everything about us and everything you can think of will be TAKEN including everything you think . . . . . We are a human resource, an energy resource and all energy resources MUST be monitored and measured in order for the Totalitarian system to work . . In order to monitor and measure the distribution and rationing of energy resources the system MUST register on a continuous 24-hour-per-day basis the total net conversion of energy. 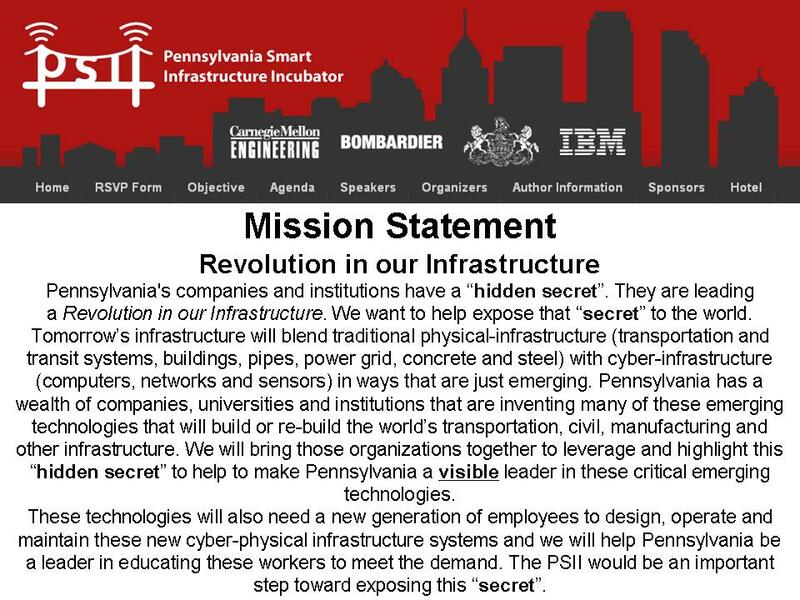 The Global Smart Grid will facilitate this massive data collection that NSA will use to track each one of us. . by providing specific registration of the type of consumption, kind, etc., of all goods and services, where produced and where used. 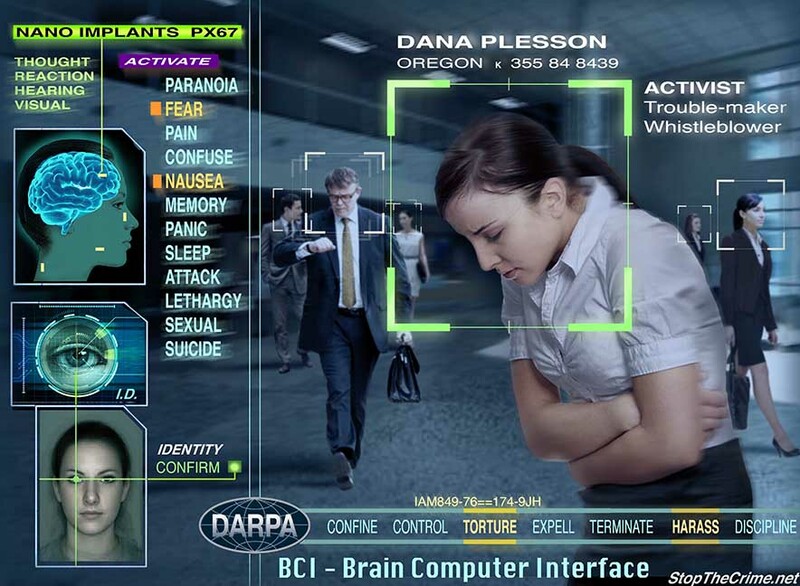 Specific registration of each individual, plus a record and description of the individual will be stored in this NSA – Quantum Computer aka Artificial Intelligence MACHINE, the Global Brain. . Watch the movie “Eagle Eye” by Spielberg to understand quantum computing . 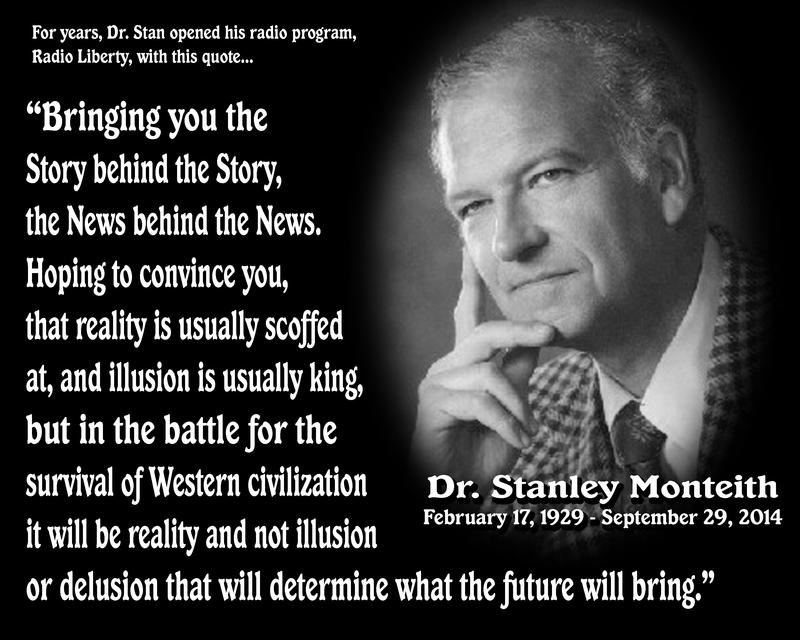 . . the elites ultimate goal – BRAIN MANIPULATION and MIND CONTROL . 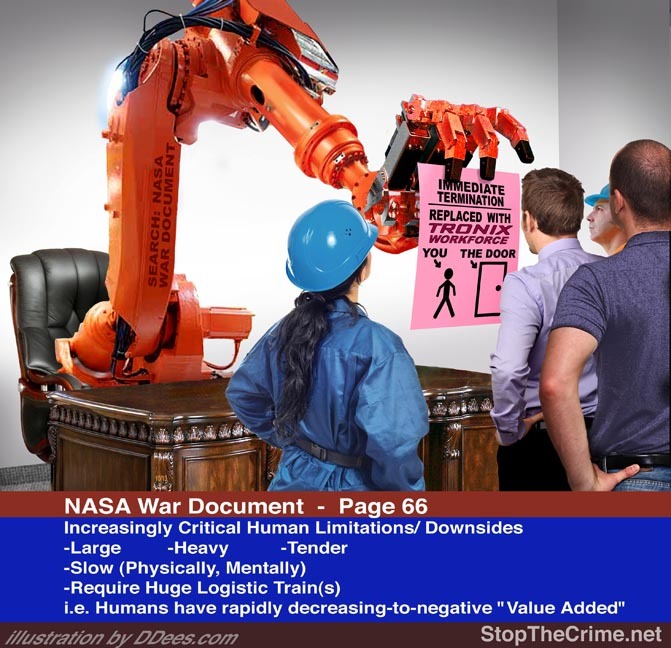 .The NASA War Plan on page 41 – tells us Sensors and Nanotags will be placed on everything – everywhere . . . Final Comment: We are all being transformed . . TRANSHUMANISM . . Humans are being blended with animals and machines! He knew what you are finding out now.